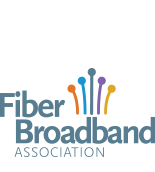 "The Fiber to the Home Council Americas applauds the city council of Westminster, Maryland and Ting Internet for bringing gigabit Internet to their community. As this project shows: every community has assets that can accelerate investments in essential, all-fiber networks. This creative partnership will bring Westminster the same benefits of fiber that we have seen in other gigabit cities: improved government, education, health care and entertainment services.